Strawberry lemonade popsicles are just the sweet treat we need on a hot summer day. They’re super easy to make, and of course, super delicious, too. Something about popsicles remind me of hot summer days, lounging in the grass barefoot, the music box sound of an ice cream truck long gone and the forgotten giggles of childhood. I have never been much for frozen treats; one or two bites and I’m satisfied, so anything on a stick melted long before I even came close to finishing. I recently saw a popsicle recipe book and was reminded of the endless flavor combinations that are possible. Even though I may not love lots of frozen treats, strawberry lemonade popsicles here and there would be nice. These strawberry lemonade popsicles became melty little treats almost instantly, and I believe I may be hooked. Now there is a list of popsicle recipes I want to try making. Have any great flavors you want to recommend? What about ADULT POPSICLES!!! These might be my absolute favorite summer treat. Try out these frozen bits of boozy goodness. 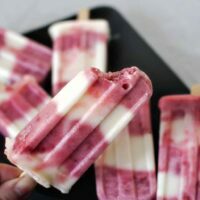 If you’ve tried my Strawberry Lemonade Popsicles recipe or any other recipe on passthesushi.com please don’t forget to rate the recipe and let me know where you found it in the comments below, I love hearing from you! You can also follow along for more good eats and travel tips on Instagram @passthesushi & @girlcarnivore, Twitter & Facebook. First, make the lemonade layer mixture. Heat the lemon juice in a small, microwaveable bowl for around 45 seconds and dissolve all the sugar into it. Pour this mixture into a medium bowl with the yogurt and whisk until smooth. Refrigerate until ready to assemble popsicles. 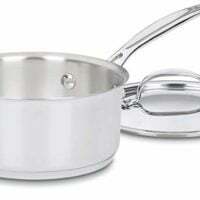 Place the strawberries, water, and sugar in a medium saucepan and bring to a bowl. Simmer for around five minutes until the strawberries are soft. Chill in the refrigerator until cool, and then whisk the yogurt into the strawberry mixture until well combined. Use a teaspoon or tablespoon to carefully spoon alternating layers of lemon and strawberry mixture into your molds. If you typically like your lemonade more sweet than tart, use more strawberry layers than lemon. If you prefer more tart than sweet, use more lemon layers than strawberry. To unmold, dip molds into warm water and gently pull popsicles out. 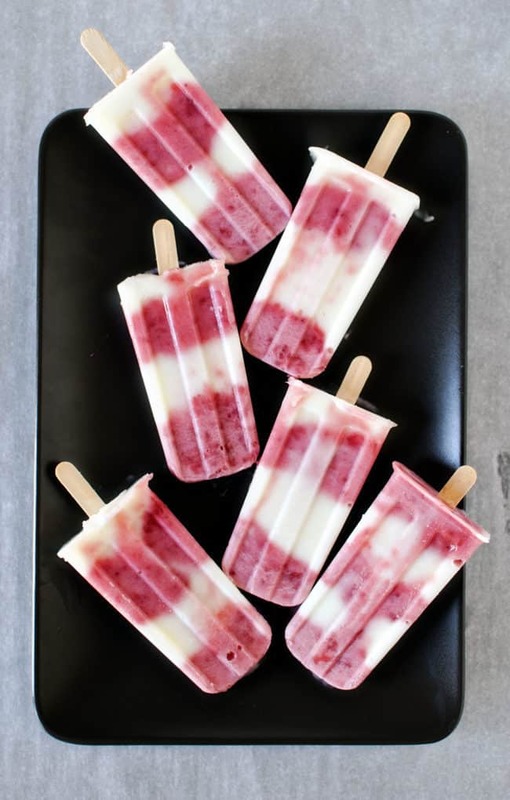 I’ve never made homemade popsicles… well maybe I made those pudding pops when I was a kid:-) I love how pretty these are and such a great flavor combo. I need a popsicle maker. These are so cute! Those are so great! I haven’t had a popsicle in forever. I remember having them when I was younger on hot days in the summer when I needed something to cool off. Mom always had the popsicles in hand and ready to go for my siblings and I when we came for a break. I love the colors with these Kita…seriously looks so refreshing! Love these! They look so colorful and refreshing. Definitely want to bookmark these and give them a whirl. Love that these are made with yogurt! I’ll have to buy some Popsicle molds soon so I can make them! 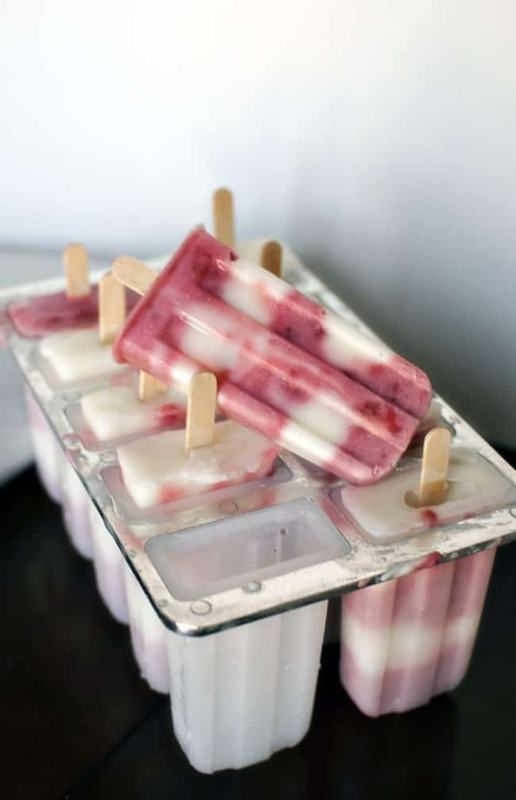 Everyone needs popsicle molds, especially when you can make tasty things like these! Those look yummy! I so need to get a popcicle mold now! These treats of yours look beautiful!! Now I want to just jump in my car and buy popsicle molds! Thank-you, Kita. 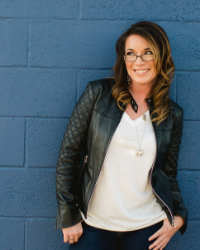 I am 9 years old again – but with a lot more confidence. These look summer-sweet! What fabulous popsicles! Perfect for the hot days of summer…with real fruit and yogurt…YUM! I just made some popsicles, but these will have to be next! I love the layered look and flavor combination going on here. 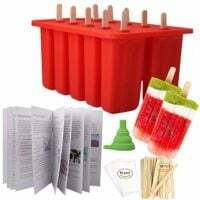 I just ordered some popsicle molds from amazon yesterday! Can’t wait to try these and many more flavors! These are so gorgeous, Kita. I have a jar of strawberry puree in the freezer and I’ve been meaning to do something like this with it! Ahhh these are beautiful and look so good right now, especially since temps are finally getting hot! Oh, I am SO going to make these; heavy on the lemon part since we like tart here. I need to go pick more strawberries! Thanks for sharing the recipe. What a great way to eat yogurt…it’s been forever since I made popsicles. I must shop for some molds I think. Lemon flavor is always so refreshing and I can never resist strawberries. I love the idea of sweet and sour together, so I’d love lemonade and strawberry together. Is it wrong to think that a Popsicle would be good dipped into an afternoon cocktail? These sound and look silly delicious! Perfect for summer! These popsicles are very colourful and tempting. I liked the overall presentation of your blog. These popsicles look refreshing and delicious! It’s Winter over here so the thought of having them is sending chills through my body but would have to defintely keep them in mind when it gets warmer. Thanks for sharing! Where did you get your popsicle mold? I’ve been looking for one with a shape like yours. 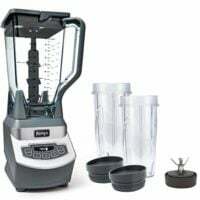 I found them on Amazon.com! I love the look of your mold, was it this one? These are amazing! My daughter and I made these last night and I am hooked. But just so everyone knows, popsicle molds are nice to have but not essential. We make out popsicles in either dixie cups, styrophom cups, or paper cups. I bought a giant box of popsicle sticks whole sale for the summer and we are on a mission to try a new flavor concoction every day of the spring/summer. You just put the popsicle mix into the cup, freeze them long enough to be slushy to hold up the stick (Honestly, we cheated on these ones and put the sticks right in. They ended up slanty but still deliscious), put the stick in and freeze overnight. When we’re rady to eat them, we just cut/tear the cups off. I cut down on the sugar by about 1/2 in each of the mixtures. I also let the strawberries sit in the sugar for about an hour before I mashed them. Delicious! I love keeping the sweet and sour separated, each bite is different 🙂 yum! So I have the same Popsicle mold but it’s so hard to get them out each time. Do you try to get the plastic part out or warm each under water and then pull out.? Sometimes I just wanna get one out.. I sometimes have to warm mine a minute or two under water. If you do this for all of them, wrap each in wax paper and seal with a rubber band and bam, you have them ready when you want to grab them. Pass me one of these right now! They would be so refreshing on a hot day. Thank you so much for sharing at the Delicious Dishes Recipe Party Kita!